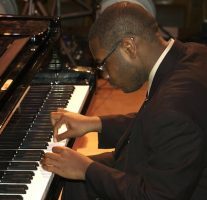 Several Denver students were among a dozen or so teen musicians performing on NPR radio show “From the Top” before a live audience taping. How did two high school students from Colorado just set themselves up to have their music heard by 700,000 listeners in a single day? 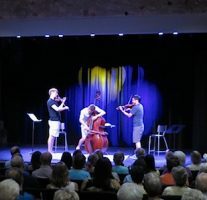 These two 17-year-old juniors were both chosen to perform with the Colorado Symphony Orchestra (CSO) on National Public Radio’s “From the Top” weekly classical music program. 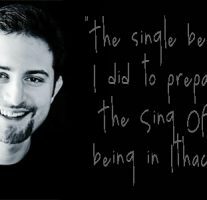 From college a cappella to working on NBC's The Sing Off, to freelance arranging and composing, Ithaca College School of Music grad Rob Dietz has an interesting story to tell. Dietz combined business with music as an undergrad, and talks about how well this has set him up professionally to "understand the mindset of the business world." 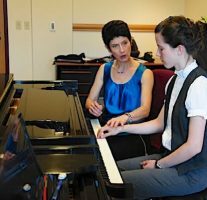 Have you ever experienced bullying as a student musician? "Stronger," the anti-bullying music video from the Time for Three trio, is based on experiences each member of the trio had while growing up. 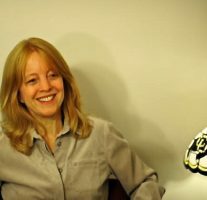 Internationally-renowned jazz composer and conductor Maria Schneider provides reassurance and inspiration as she talks about the ebb and flow of creativity in her own work. 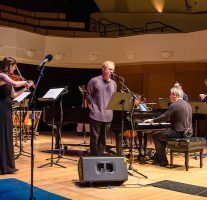 Maria Schneider guides students who want to become composers through some of the challenges of the profession. 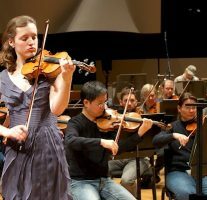 Grammy Award-winning composer and conductor, Maria Schneider, shares insights and advice to inspire musicians as she urges music students to remember, when the going gets rough, what drew them to want to be a musician in the first place. 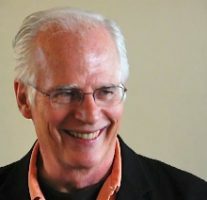 Michael D. Frederick, director of Alexander Technique Workshops International and a senior teacher of the Alexander Technique, teaches musicians how to perform with less stress to reduce performance injuries.